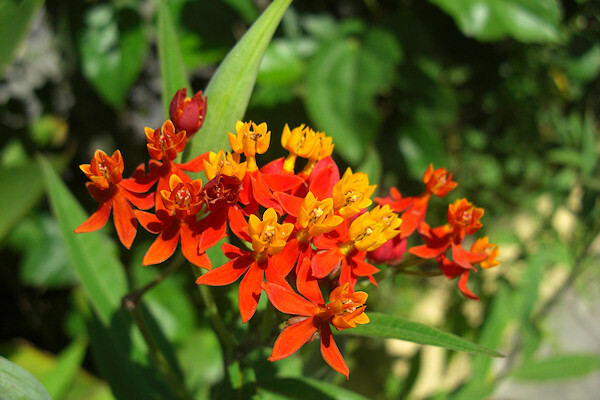 The Blood Flower, also called Scarlet Milkweed, is an evergreen sub-shrub that is native to the Americas. Its clusters of red flowers are very attractive to butterflies. This photo was taken on the island of Santo Antao, Cape Verde. Copyright © Wildlife of Africa, 2014. All rights reserved.